Proper exercise acts as a method to make sure that all your muscles, joints, ligaments and tendons are flexible and have enough blood circulation. This helps the body in becoming connected to its solar plexus, which is the core of the body. This also helps to increase your clarity and vitality. Relaxation helps to give the body a reprieve and prevents it from becoming over-worked. Relaxation is necessary to have a healthy, functioning body. This helps our body get all nutrients, including sunlight and oxygen. All nutrients and fuel for our bodies are equally necessary for maintaining a healthy body. This helps you to put your mind in the correct place. This helps to settle your thoughts and lets you and your mind have a slight reprieve. When I see troubled people I contemplate their pain, their mental fears and anxieties. The key is to unlock their mind first and make them talk about their problems. I teach them how to embrace their insecurities and turn them into their strengths through the art of Yoga. 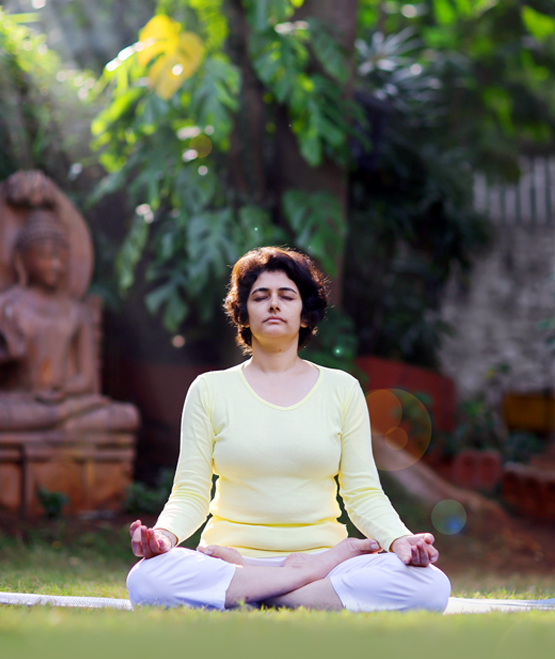 I give individual attention to everybody, to make sure they imbibe the vibe of Yoga completely and feel revived.